The Montreal Grand Prix luxury engines have roared into our beloved city, as well as the glorious weekend-long parties and list of activities guaranteed to make your head spin! Every year picking the best events to attend can be a daunting task. The one you won’t want to miss out on is the luxurious black-tie event at the Montreal Ritz Carlton, brought to you by Infiniti Canada and featuring a special appearance by David Coulthard, Red Bull’s Ambassador and former Grand Prix driver. It also happens to be the first Canadian appearance of the Infiniti Q50 Eau Rouge concept. What’s in store of its guests? A glamorous evening open champagne bar Moët & Chandon, tantalizing food stations, Sharp Magazine’s Men’s Lounge featuring an oyster bar and whiskey station, live band and performances as well as DJs Abeille and YO. The luxurious design and décor for the party are brought to you by Montreal society event planner, Maddy K Weddings & Events Atelier. And let’s not forget the luxurious gift bags to top things off. Tickets to the event can be purchased for $295 and can be booked online, by calling 514-842-4212, or emailing [email protected]. A portion of ticket sales will go towards the CHU Sainte-Justine Foundation. Partying for a cause: what better way to give back? Ritz-Carlton Montreal and infinity Canada will be joining in the race festivities by hosting the second edition of their exclusive Grand Prix Garden Party. 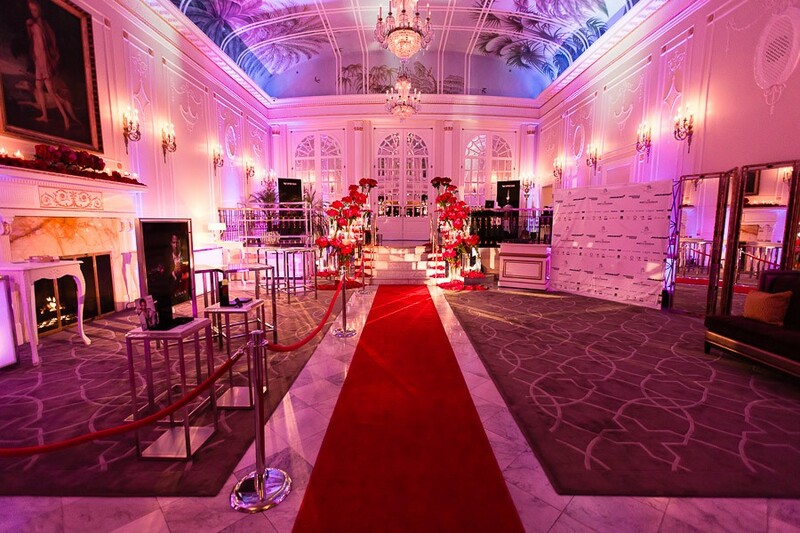 This party inspired by performance, will take place in the hotel’s iconic Oval Room and Terrace, as well as the Palm Court on June 6th from 7:00pm until 2am. Some of last year’s VIP guests , decked in glitzy and glamorous tuxes and gowns, included Montreal Canadian players Brandon Prust and PK Subban as well as TV personality Anne-Marie Withenshaw, and Quebec icon Mitsou ! This year’s line up includes a special appearance by David Coulthard, Red Bull ambassador and Former Grand Prix Driver. Guests can expect a night of lush entertainment and VIP treatment with red carpet entry to the stunning oval room, a lounge atmosphere with mood-setting lighting, décor and an impressive display of rose bouquets, a flowing champagne bar, exquisite food stations, live music, fashion shows, luxurious gift bags and the unveiling of the Infinity Q50 Eau Rouge concept car! The event will take place in the luxury Montreal hotel’s Palm Court, Oval Room and Terrace on Friday, June 6th, beginning at 6.00pm until 2.00am. Get your glitzy and glamorous tuxes and gowns ready, this promises to be the event of the weekend! Jackie Venson | Can you resist that? Boys, loosen ur belts |Smoked classics in JD!